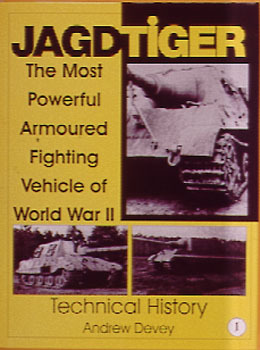 The Most Powerful Armoured Fighting Vehicle of World War II: TECHNICAL HISTORYThis new two volume study of Germany's heaviest Jagdpanzer (tank destroyer) is the result of nearly twenty years of exhaustive research.Volume one, Technical History, presents a well-structured and highly detailed technical analysis of this complex tank destroyer. Using manufacturer's documentation, drawings, and photographs combined with Intelligence analysis, this work details the origin, design, construction and assembly of the vehicle. The armor, armaments, engine, transmission, suspension systems, electrical and optical equipment, together with the operation and maintenance procedures are included to complete this definitive analysis.